Tuesday, July 17th from 7-9pm at the 1st United Church.Childcare available by reservation, contact catgray@indiana.edu. 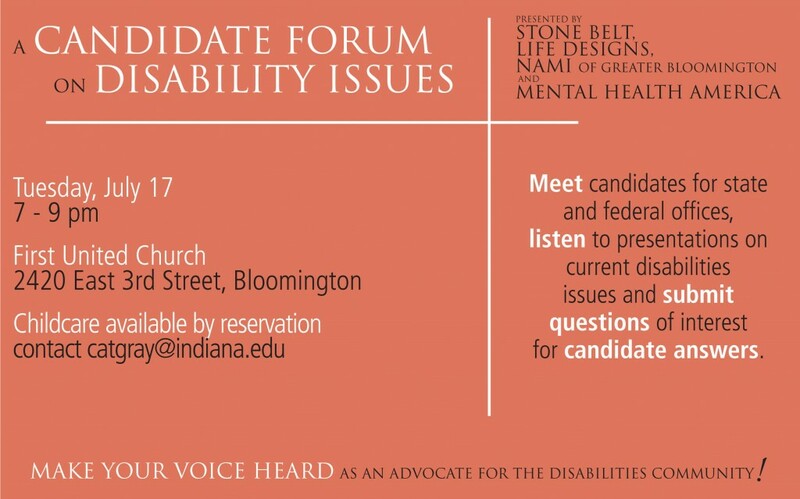 Meet candidates for state and federal offices, listen to presentations on current disabilities issues ans submit questions of interest for candidate answers. Make your voice heard as an advocate for the disabilities community!